Pakistanis are known for their good looks and fair skin tone. Without any guilt we all love ogling at them on and off screen. 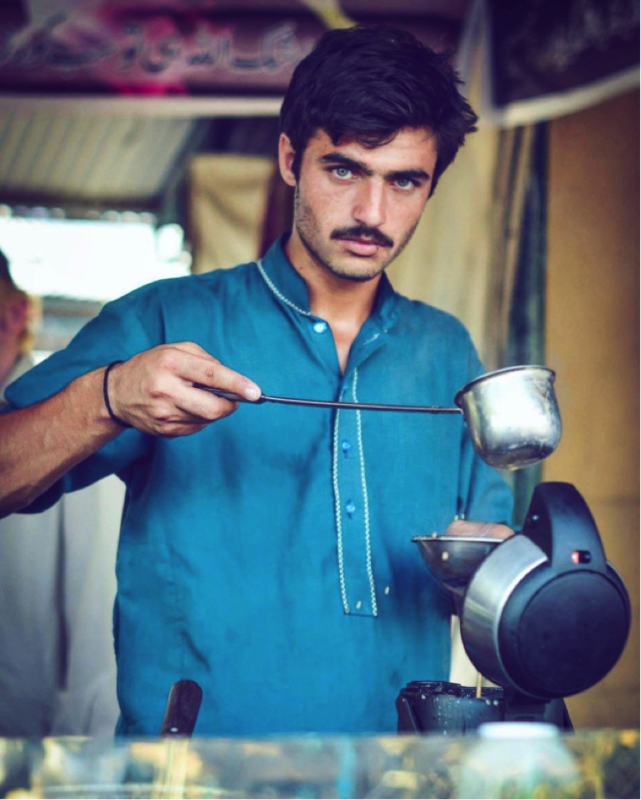 And when photographer Jiah Ali came across this handsome chaiwala with mesmerizing eyes in Islamabad, she couldn’t stop herself from clicking him. But little did she know that her twitter post will cause quite a stir and create a huge fan fare of this tea seller. 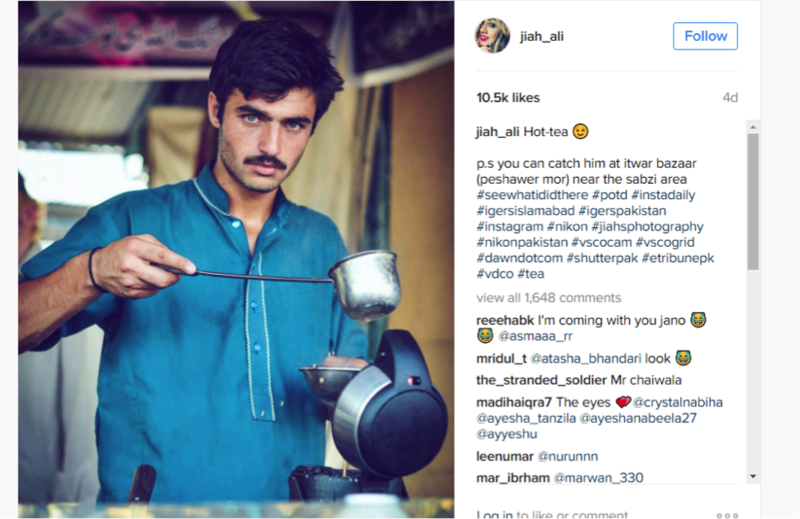 So, apparently, Jiah Ali posted the tea seller’s pic on her Twitter Account on Oct 16th 2016 with the caption “Chai wala spotted in Islamabad. Model looks ft. Karrak chai”. 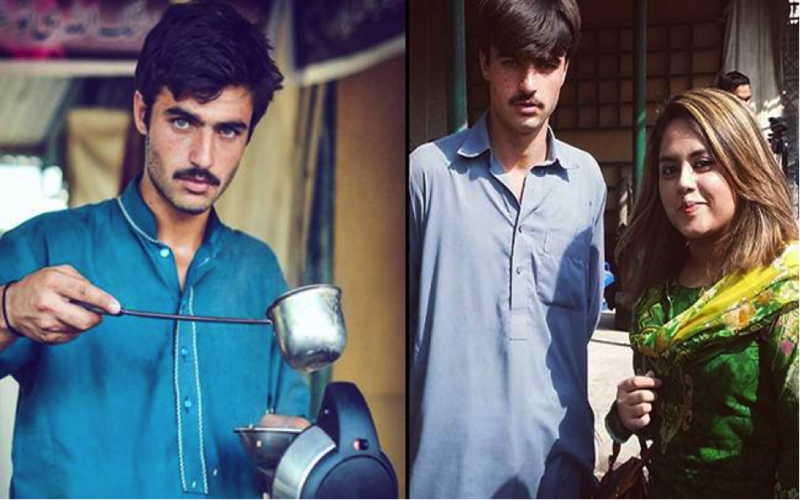 Ever since the post, the chaiwala model is trending on Pakistani Twitter and Instagram. Moreover the photograph has been shared several times with persistence queries to know more of this handsome man. Jiah opened up to media saying, “I took the photo was during a recent photo walk I attended in Islamabad. He had a tiny tea stall in the area near the vegetable section of the city’s Itwar Bazaar (Sunday mart). 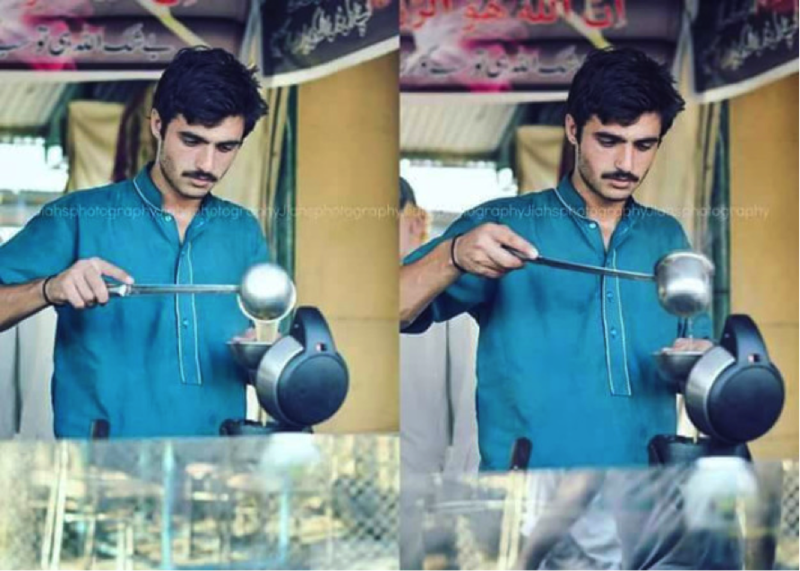 I spotted him while he was pouring some tea. My first two shots were of him looking down concentrated on his chai, but I was lucky enough to capture the viral shot in the seconds he looked at me for. He shied away, smiling, as soon as he saw me”. 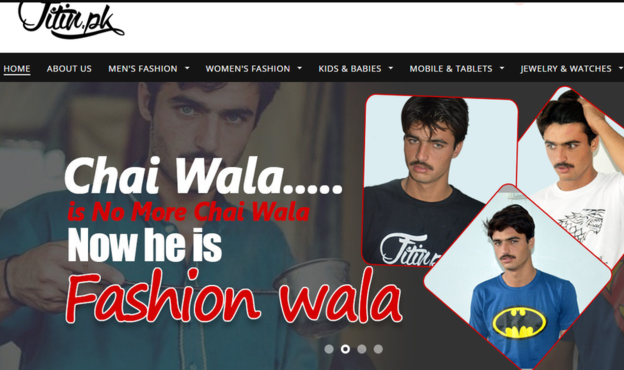 Arshad Khan, the chai walla has officially turned a model for a fashion website.